Another heated battle as Matt and Kenny talk about Naughty Dog’s The Last of Us and their conflicting experiences with the game. The two discuss its artistic merits, how an experience is defined by the games that precede it and clash over Matt’s dislike of Bioshock Infinite in contrast to his love of The Last of Us. The tension is ramped up to threat level NO FRIENDSHIP in this episode of Chips & Bits. We talk a lot about two games we’ve podcasted about, Uncharted 3 (the whole series) and Bioshock Infinite. There is a huge Bioshock Infinite spoiler in this episode. 08:01 We talk about the Tomb Raider upgrade system. 08:53 HUGE SPOILER on Bioshock Infinite. 10:42 The guy referred to in this segment is the character Bill, a guy who lives alone in The Last Of Us. 15:10 We talk about The Walking Dead’s plot line. 16:18 An incredibly well done scene Kenny neglects to mention in which Ellie discusses fear with Sam and gives him a toy robot. 18:33 The clicker is mentioned. 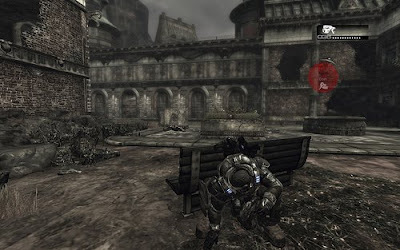 20:00 Gears of War gets mentioned in the cover system context, for its random placement of boxes and barriers to hide behind. 23:32 The Darksiders ball rolling animation can be witnessed in all its glory here. 23:57 Joel picking up things looks like a bear cub attack, here’s the animation in this walkthrough. 27:40 Bombcrafting refers to Assassin’s Creed: Revelations, a game Matt and Kenny didn’t enjoy so much. 31:24 The writer we’re referring to is Neil Druckmann, who is a he. The person I thought wrote it was Amy Hennig. Apologies to Neil and to Amy, but both are great writers. 33:00 The doctor scene in The Last of Us can be seen here. 36:39 Here’s the ending of the game on YouTube.